It’s been revealed at the Japan Expo in France, and seems to be based on a salamander of some kind. The Pokemon is a Poison/Fire type and has the ability Corrosion (which lets it poison Steel and Poison type Pokemon). Interestingly, its description on the official site says that female Salandits can release pheromones that attract males of all species. This apparently includes both humans and Pokemon, and lets it control their actions. Sounds pretty disturbing doesn’t it? I mean sure, it’s likely just flavour text saying it can learn Attract. But it does also make me picture a Pokemon that can brainwash the other trainer into doing its bidding. That would be an interesting mechanic! Imagine you couldn’t use items in battle while one of this Pokemon’s moves was active! 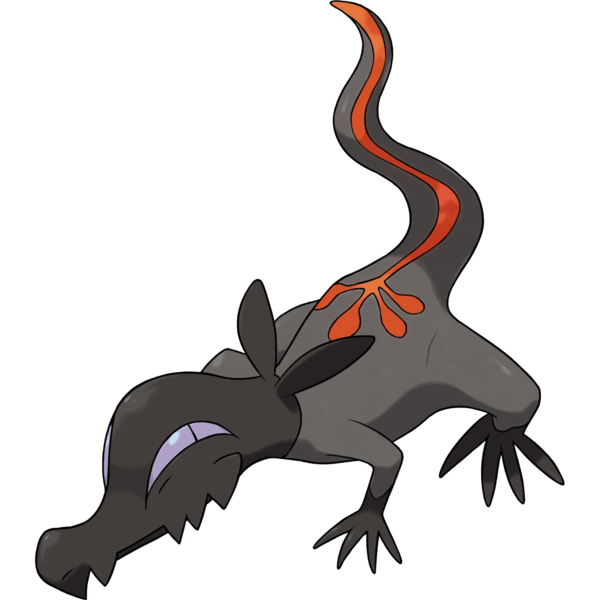 But that’s Salandit for you. An interesting new Pokemon from generation 7 with a neat ability and some incredibly flavour text to go with it.